Surf Gidget the Pug® is the little 15-lb. pure white Pug-in-Pink that many are now referring to as ‘Small but Mighty’ since she swept back-to-back championship titles two weekends in a row this summer. Gidget surfed to Gold, sweeping the 2018 Top Dog Category, out surfing dogs of all sizes for both the Imperial Beach Surf Dog Competition (Jul 28, 2018), AND the World Dog Surfing Championships (Aug 4, 2018). And apparently, in surfing, the smaller a dog is, the more difficult it is to stay put on a surfboard. Larger dogs can simply lie down if the surf is rough, where smaller dogs tend to get tossed off unless they are agile and know how to balance their weight on the board. 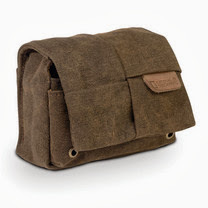 So for a 15lb. LITTLE dog becoming the World Dog Surfing Champion, or any Surfing Champion, it’s a BIG deal! Surf Gidget the Pug® is a 5-year-old Champion surfer, who I had the pleasure of sitting down with in Pacifica, CA at the World Dog Surfing Championships. In addition to sitting down with Gidget, I also met with her owner, Alecia Nelson, and we discussed Gidget’s history, her health, and her exceptional surfing achievements. 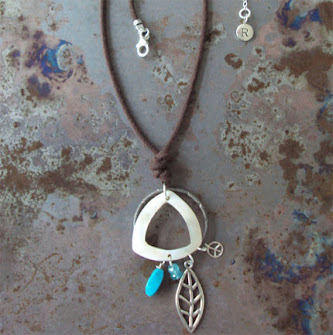 Being a Malibu, CA native, Alecia grew up with an athletic lifestyle and was raised to be charitable. She established a career in the Fitness Industry, and was active in philanthropic work with a focus on Cancer, Heart, and AIDS Research. A business opportunity brought her to Maine, where Alecia found puppy Gidget, an all-white pug (which are rare… most pugs are apricot fawn, silver fawn, or all black, in that order) and a beautiful relationship was born! Alecia began training Gidget in an extensive 2-year dog agility program that included Stand Up Paddleboard (SUP) fun in the Atlantic Ocean. Sure sounds fun! In 2014 Alecia and Gidget found their way back to California together when Gidget was two-years-old. It was a natural fit being back on the West Coast for Alecia to try-out Gidget on a surfboard in the Pacific Ocean. Gidget’s agility training already showcased strong balance skills for the little pug, and as soon as she got on a surfboard, Gidget took to the waves like a pro! 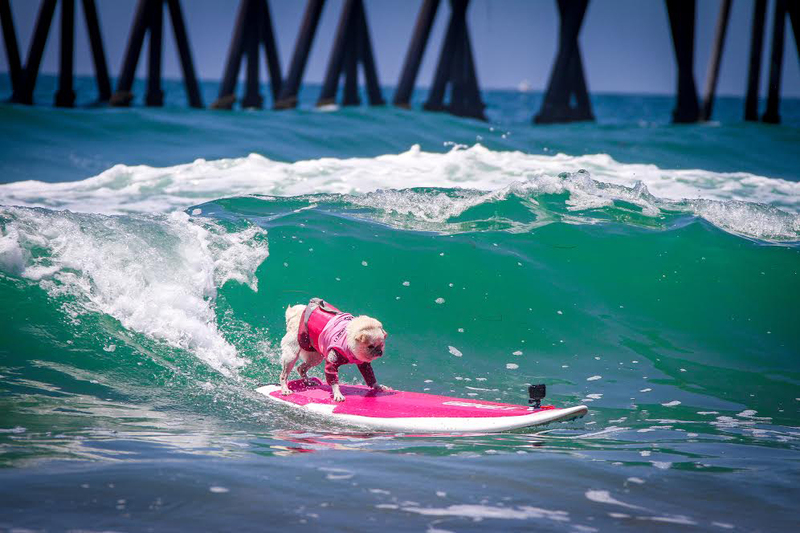 So much so that Alecia entered Gidget in the 2015 dog surf season, where the little, pure white Pug-in-Pink placed 3rd! It seemed that not only did Gidget have great balance, her two-years of agility training made her a natural for riding forwards AND backwards, as well as for staying on the board at the shore. Hey, that’s more than most humans can do! 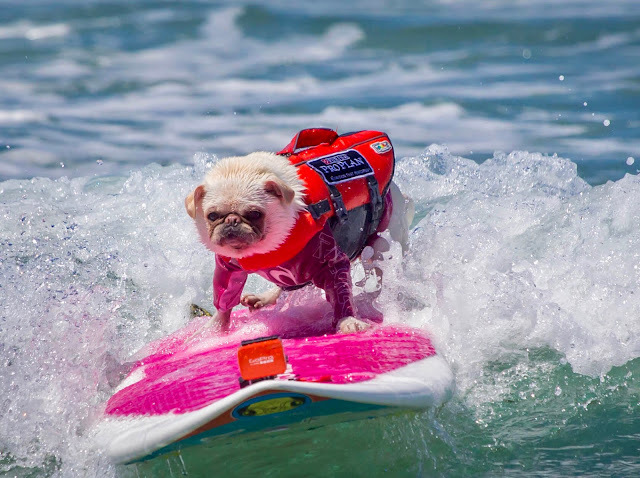 Closing out the 2015 surf season, Surf Gidget the Pug® came out with a splash as the 3rd Place winner of Small Dogs at the Surf Dog Surf-A-Thon event in Del Mar Dog Beach in San Diego. Talk about a natural! Gidget’s purpose in life became clear. Alecia knew what this little dog was meant to do: surf for charity! After the 2015 season was over, Alecia told me, Gidget started looking very skinny. Too skinny, in fact. Gidget was sick; everything she ate went straight through her, and her body functions were not acting normal. Yikes! That’s not good, especially for a top-shelf athlete like Surf Gidget the Pug®. Extensive blood work and lab tests stumped several veterinarians; they didn’t know what else to look for. Gidget was getting more ill, and she quickly became emaciated. Alecia began panicking. Gidget was so young, only 3 years old, going on 4. Was this really the end? After countless vet visits, one veterinarian recalled a particularly rare case he had treated previously. He cautioned Alecia that it was a long shot, however he suggested that it may be worth a try. In fact, it may be Gidget’s only hope. Heartbroken, yet not willing to give up, Alecia agreed to try his recommendation. The veterinarian prescribed an expensive enzyme powder to be given twice daily, with explicit advice that if it worked it must be given to Gidget for the rest of her life in order to keep her alive and healthy. Fortunately it worked! Hooray, team Gidget! Turns out, Gidget is a 15lb. pure white pug, who is battling a rare disease, Exocrine Pancreatic Insufficiency (EPI), which is also known as Pancreatic Hypoplasia, or Pancreatic Acinar Atrophy (PAA). Never having heard of EPI, nor PAA before, Alecia was kind enough to explain it to me in terms I could understand. Alecia says she prefers to not dwell on her dog’s diagnoses, rather she wishes to always focus on the positive. Caring for Gidget’s health is more important than dog surfing, or even philanthropy. Gidget’s health and well-being is top priority. You go, girls! 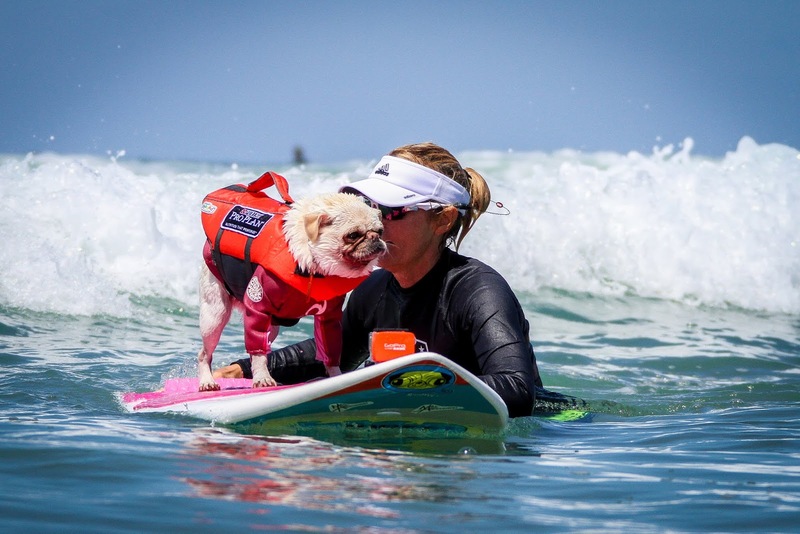 In 2016 the veterinarian gave Gidget the green light to surf again. And surfing with her dog buddies was the best medicine! They’ve been making the best of their time together, to say the least. Yeah, team Gidget! Gidget and her mom, Alecia, have been featured on several T.V. shows, including Nat Geo WILD’s "Pet Talk", a weekly show hosted by Andre Millan, son of the “Dog Whisperer” Cesar Millan. 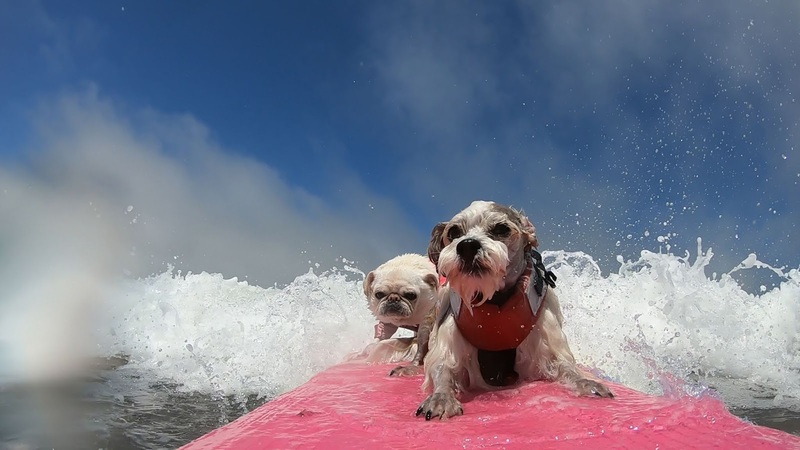 On their episode, Gidget got to teach Andre's pug, Sugar, how to surf! Gidget even had a custom surf board made for Andre and Sugar from BruSurf® Paddleboards & Surf Shop. Geeze, not only is Gidget a champion surfer, she’s a gracious guest as well! Nice. Surf Gidget the Pug riding Tandem with Prince Dudeman at the World Dog Surf Championships 2018, placing 2nd for the Silver medal. First time ever riding together! (left) Surf Gidget the Pug winning 1st Place ‘Top Dog’ award at the 2018 Imperial Beach Surf Dog Competition at Imperial Beach, San Diego, CA. Photo Credit Dale Hernandez. (right) Surf Gidget the Pug winner, 1st Place Small Dogs, 1st Place over all dogs& 2nd Place Tandem at the 2018 World Surf Dog Championships, Pacifica, CA. Alecia can’t believe how blessed she is. “It’s amazing , considering what we went through, that Gidget is healthy again, competing against amazing surf dogs, raising money for charity, and sweeping the 2018 Events thus far. I feel blessed and honored each day I have with Gidget,” Alecia said. Be on the lookout for Gidget surfing with her new tandem friend Prince Dudeman. 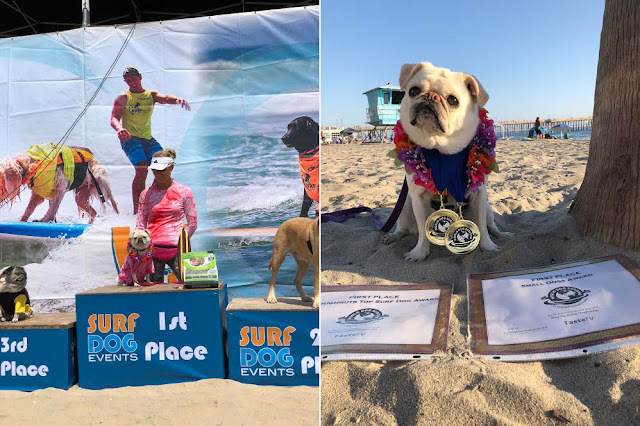 Gidget and Dudeman recently placed 2nd for Tandem at the World Dog Surfing Championships in Pacifica, CA (Aug 4, 2018). Alecia says the bond between an owner who surfs and their surf dog is amazing; the discipline, training and love the owner has with their dog goes a long way. And we mere mortals can see that on full display when we get to watch these cool dogs surfing with their owners. 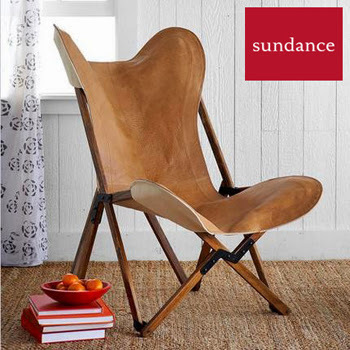 It’s awesome to behold! Check out, and feel free to support Surf Gidget the Pug®’s current charity work here: Belinda Carlisle of the “Go Go’s” non-profit foundation Animal People Alliance; The Pug Queen Foundation; Pug Nation Rescue of Los Angeles; Southern Nevada Pug Rescue; Tiny Paws Pug Rescue (Central California); The Make-a-Wish® Foundation; and Gidget also promotes adopting shelter dogs and rehoming them, too. In June 2018 Surf Gidget The Pug® released her environmentally conscience iTunes and Google Play gaming app (Rated ‘E’ for Everyone!). You get to help an adorably animated Surf Gidget surf or snow sled, while keeping our oceans and environment clean. It’s fun for the entire family to play, and teaches good stewardship towards the Earth’s oceans and environment. The iTunes and Google Play Surf Gidget The Pug® game is free to download. This little 15-lb. pure white Pug-in-Pink made my day! Thanks Surf Gidget the Pug® and Alecia Nelson. 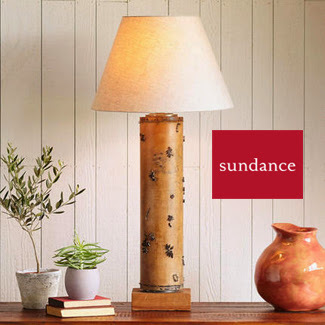 I’m a fan. Go #TeamGidget! In San Francisco, I’m Rachel Baerchen.